What is Minitab, and Why do I need Minitab training ? The world of Six Sigma relies on statistics and hard data to provide process improvement. Utilizing a series of tools, strategies, and data formats, trained professionals are able to determine problems within a process, how each problem can be rectified, implement the necessary changes, and then monitor the situation. However, they don’t do all this in their heads, as this is a very specific methodology. Six Sigma professionals require specialized tools, such as our Minitab Essentials Training. If you are still wondering “What is Minitab?“, this training will help you understand this statistical software. If you have questions about applying Six Sigma using Minitab, this will provide you a general understanding, but you can learn more by purchasing the 6 Sigma book. Every industry has software specific to it. Graphic designers use Adobe software products, administrators and office personnel use Excel or Word, and Six Sigma professionals use Minitab. It’s an essential tool in process improvement, making it essential to any Six Sigma program. This is why we say don’t learn statistics take Minitab Essentials Training or our Six Sigma Green Belt instead. Our online, on demand Minitab Essentials program is designed for anyone interested in creating meaningful graphs, and performing basic data analysis that is required for Six Sigma. This course does not have any prerequisites. It is a great option for individuals that are already Six Sigma certified, but do not know how to use Minitab. At the completion of the 5 modules, the student may work on a Certification by completing assigned activities designed to demonstrate their new found knowledge. As mentioned above, there are no prerequisites for this course. 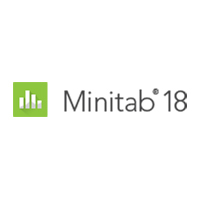 Anyone interested in learning about the Minitab software should take this course. 90 days of access to the training manual in electronic format with the ability to print 1 copy for your own use.